Why has Lauren Cohan been cast in a pilot for an upcoming ABC series? And what does this mean for her involvement in TWD Season Nine? We’ve avoided talking about the Cohan situation as it’s been bubbling up, because we figured it would resolve itself quickly and become a non-issue….after all, they would have to be mad to let Maggie walk out of there. It’s gotten worse, however. Cohan is renegotiating her contract with AMC and she’s rejected the offers the network has given her so far. Now she’s walked directly up to the cliff by accepting an offer from ABC to star in one of their pilots. Right now, Cohan can film this pilot and remain uncommitted to ABC. But if the network orders the show to series, and Cohan signs a contract with them, that’s it. She’s no longer on TWD. This would be a disaster for the show, which has already taken a hard left from the comics by killing Carl. 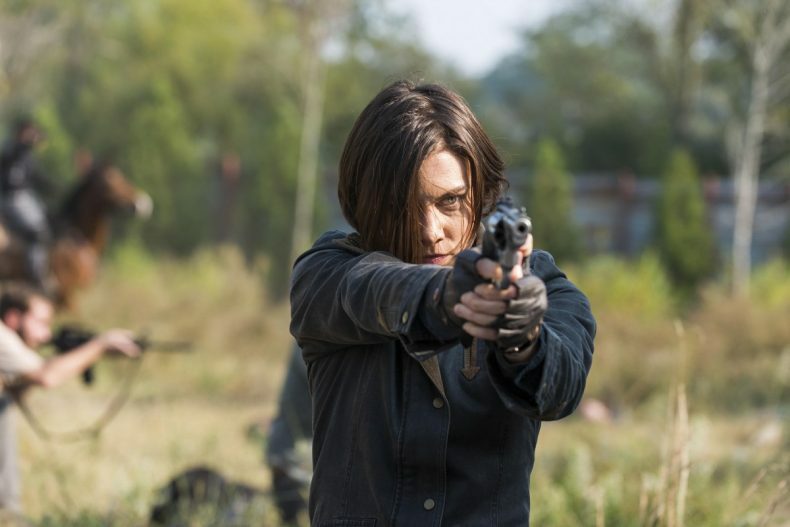 Removing Maggie, a major power player over the next fifty-plus issues, would set the writing staff completely adrift from Kirkman’s narrative and on their own to decide what happens next. Ask the Game of Thrones guys how well that’s going. If I were AMC, I would give Lauren Cohan whatever she wants at this point — the negotiation is over. Cohan holds the nukes here and she knows it. The network could very well be naive enough to think the “brand” is strong enough that anyone is replaceable, but the tumbling ratings, bad buzz and critical poundings if Maggie and Carl die in the same season will prove otherwise. The Walking Dead returns this Sunday at 9 with a super-sized Farewell To Carl episode.